Southcoast Health System, Inc., located at 101 Page Street, New Bedford, MA 02740 (“Southcoast”) (the “Applicant”) intends to file a Determination of Need application (“Application”) with the Massachusetts Department of Public Health (“DPH”) for a substantial capital expenditure by Southcoast Hospitals Group, Inc. at its Tobey Hospital campus, located at 43 High Street, Wareham, MA 02571. The Project includes the renovation and expansion of the existing emergency department at the Tobey Hospital campus. The total value of the Project based on the total capital expenditure is estimated to be approximately $25,095,000. The Applicant does not anticipate any price or service impacts on the Applicant’s existing patient panel as a result of the Project. Any ten taxpayers of Massachusetts may register in connection with the intended Application by no later than January 9, 2019 by contacting the Department of Public Health, Determination of Need Program, 250 Washington Street, 6th Floor, Boston, MA 02108. 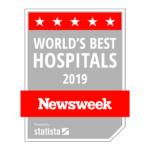 Tobey Hospital is the Greater Wareham area’s major health care resource and a growing center of surgical excellence that combines high technology with personalized patient care. Tobey features a state-of-the-art surgical wing and Intensive Care Unit that make today’s advanced medical procedures available to area residents. 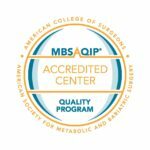 Key services include a hospitalist program, a successful bariatric weight loss surgery program, as well as orthopedic and general surgery programs. At Tobey, patients have access to diagnostic testing through CT scanning, MRI, nuclear cardiology, a pulmonary function laboratory, vascular surgery, advanced cardiac studies and pacemaker implants, and a fully-accredited digital mammography suite. Tobey’s Makepeace Center for Women & Families has earned an outstanding reputation as a regional provider of obstetrical care. Tobey Hospital has provided continuous service to the community since 1940. To experience this care for yourself, come in or contact us at the information on the right.